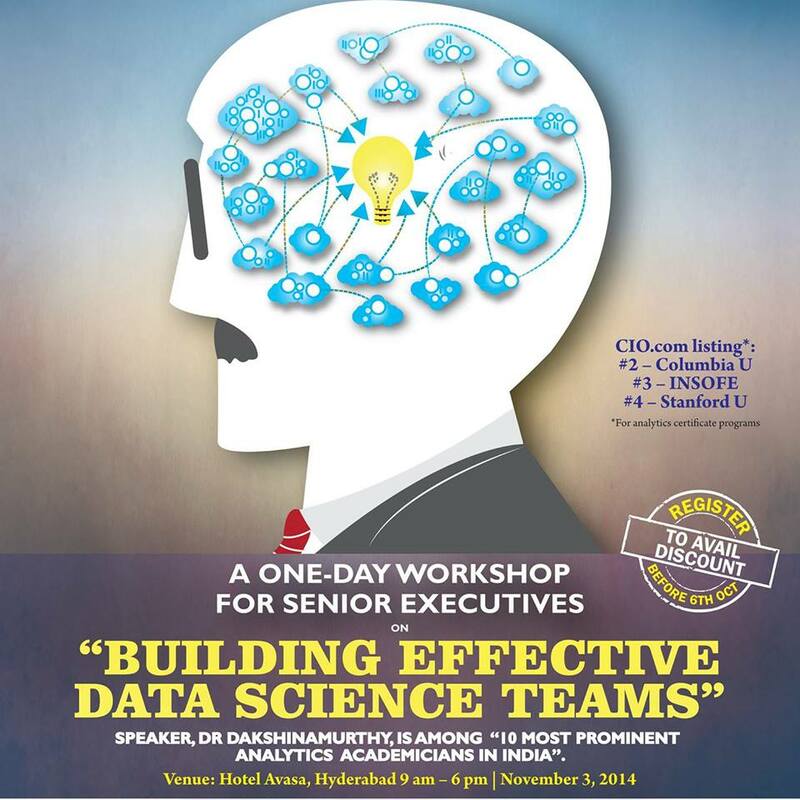 As one of the decision makers in your organization, if you are thinking of or are already in the process of setting up Data Science Centres of Excellence (CoE) in your organization, this workshop is a must attend. You will gain a very practical introduction to all important aspects of establishing CoE in Data Science. 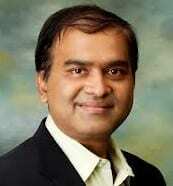 He is rated amongst the “Top 10 academicians in Analytics in India” by Analytics India Magazine. Dr. Dakshinamurthy V Kolluru, is President of International School of Engineering, an institute offering classroom based certificate programs in Data Science and Big Data in Hyderabad and eLearning certificate programs in Predictive Analytics and Big Data. You can learn more about the school and people at http://www.insofe.edu.in.